A quick note before I start: Occasionally, when time allows, I try to comment back on my own blog and personally respond to each of you. 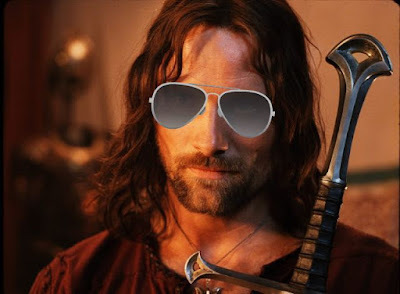 I've replied to each the comments on my posts about Flynn and Aragorn, respectively, so if you happened to comment on either of those, do go check it out. And now for our regular scheduled programming. Despite their insane amount of lovability, these characters have given me a ton of trouble. They're not really that much more troublesome than Avary and Ryan now that I think about that, but these two have taken their own sweet time in introducing themselves to me. Their own sweet long time. But now I finally think I've gotten a handle of who they are. Mostly. So, I'm pleased to finally introduce you to them. Bailey and Sawyer. No last name (yet). They're siblings, so don't let them fool you otherwise, even though they look nothing alike. They are the remaining two principal characters in my novel Souvenirs of a Life Untold. Along with Ryan and Avary, they have to save the world. Sound interesting? Cliche at best? Yeah, it gets a bit better than that, but it's a secret. Muahaha. So, this is my second post for Beautiful People this month. (First one was here.) You may have noticed that this month's round of BP is late. Not to worry, it's coming soon, once real life stops getting in the way. In the meantime, enjoy. I still haven't found an accurate representation of Sawyer. But Josh Hutcherson wearing glasses is pretty close. 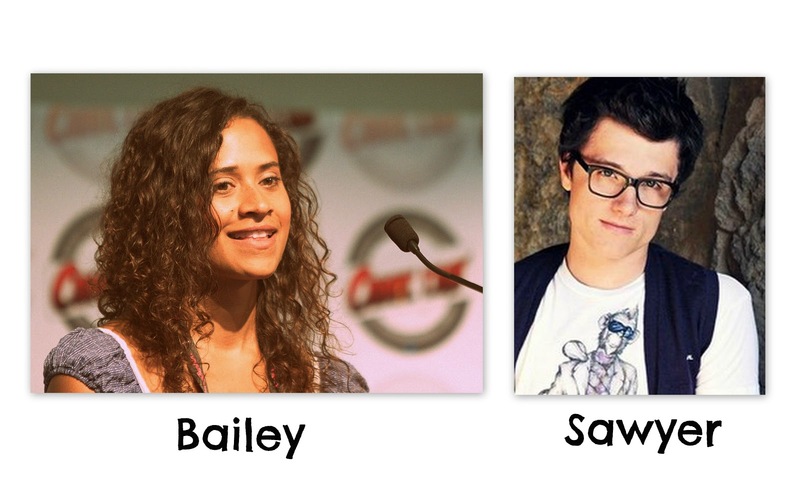 Both Sawyer and Bailey have been raised by a scientist, so they’ve been raised to think logically. As such, logic often takes priority in comparison to imagination, unfortunately. They’ve both been dreamers in some way, however. Bailey is an artist, which is where she’s fueled her imagination for as long as she can remember. It was sort of her coping mechanism in a world where logic is first. Sawyer was a boy with dreams. He wanted to fly. Because of this, he became a scientist like his father. The only problem with this is that he’s lost his ability to dream. No, he hasn’t lost it completely. It’s still there. It just needs to be found among the solemnity and mathematical equations. They are logical. Calculated. But don’t let them fool you. Deep down, both of them want to believe. 2. Are they strong, or the "damsel/knight in distress" sort? Along with the logic, their father raised them to think for themselves and draw upon their inner strength. This is a problem, however, because often they can be too independent. Bailey has suffered the most from this, because behind her tough exterior she just wants to be loved… and saved. She would never show it, though. Bailey’s is her studio. Filled with canvasses on the walls and even on the floor (if she’s running out of space), it’s her safe haven. Tarps cover the floor, speckled with paints of all colors. She retreats there more often than not. If you need to find Bailey, look in her studio. Bailey: Professional artist, hands down. She couldn’t dream of anything else. Sawyer: Scientist. As I’m sure you’ve guessed already. 5. Describe their current place of residence. Sawyer’s automatic response to this was, “Home.” Plain and simple. Bailey, Sawyer, and their father, Dr. Flanigan, live in a giant laboratory on a star whose identity is currently uncertain. (Translation: I’m still trying to think of a name.) It’s huge. Dr. Flanigan uses his lab to study the stars and everything related to astronomy. It doubles as their home as well, with bedrooms on a separate wing. The main room of the lab is where Dr. Flanigan does much of his scientifical-stuffz. A corner of it belongs to Sawyer, of course. It’s mainly stark white, with a lot of bright lights and the occasional dim hallway or two that branches off from it. There’s also a time warp bubble in the center of the room. Oh yeah. You’re really curious about that last one, aren’t you? Well, remember that one time when green aliens invaded their home and made everyone eat Lucky Charms 24/7? That was pretty traumatic. I’m kidding. I have no idea. I’ll think on it, k? 7. If they could drive any kind of car they wanted, what would it be? Bailey would drive a red convertible with a black roof. Sawyer? A Jeep. Totally. A green one. I don’t know why, that’s just what he wants. Bailey deals with it in a very calculated, cold manner. However, on the inside, she wants to scream and throw a total fit about it. Sometimes she does. Sawyer rolls with the punches pretty well, oddly enough. Not sure why he’s able to be such a good sport about it, but he is. I love that kid. Bailey would never, ever, ever amputate her hands. She needs them to paint and do all the wonderful artsy stuff that she can’t live without. If it came down to it, she’d probably choose a foot. It would do a minimal amount of damage compared to amputating her leg, and she could easily paint from a wheelchair. However, she wouldn’t be able to paint with her feet by walking all over the canvas like she sometimes does when she’s bored, but it’s a minimal loss in comparison to losing a hand. Sawyer thinks he could live without his left hand, but he couldn’t. In reality, it would be an immense frustration for him not to be able to do experiments and the like. So, in lieu of that, I’m going to say a foot as well. I hate to be a copycat since Bailey already chose that one, but Sawyer really can’t lose a hand, as much as he thinks he can. 10. What would their favorite be at the local coffee shop? Bailey loves green tea, or caramel Frappuccino with tons of whipped cream. Sawyer? He really doesn’t care. At all. He’ll get anything that’s got caffeine in it, even if it tastes like stale pancakes or something equally horrid. 1. How did they meet? They met when Sawyer was three and Bailey was two. For circumstances yet to be determined, Bailey was adopted, and Sawyer and she became friends at a very young age. To this day they are very close, though their relationship has been tainted a bit as it ages, as all relationships are. 2. How do these two deal with conflict? Bailey goes and hides in her room and cries if it’s at all possible. She doesn’t want anyone to see she’s upset, but occasionally she’ll yell. Sawyer will also occasionally yell. Thus, their conflicts have the possibility of getting quite heated. It may be a loud argument, and it may not. It just depends. As Sawyer would tell you, the chances are about 50/50 each way. He’s done the calculations himself. 3. Do they have a special song, phrase, item, or place? Whenever they visited town, the two of them would sit together on the curb at the ice cream shop and eat ice cream. Sawyer would get chocolate ice cream, double scooped. Bailey, strawberry and vanilla. Those were the good old days. They should go back again as teenagers, for old times’ sake, don’t you think? 4. What kind of things do they like to do together? Play Scrabble. (Or whatever the fantasy/sci-fi equivalent is.) Sawyer and Bailey are both a beast at word games, being geniuses and all that. They also like to go on long walks together. Other than that, they like to hang out and talk. And other than that, they have a pretty boring life. 5. Describe their relationship as a whole in 3 words or less. It's no secret that I love Tangled. Frying pans are my preferred weapon of choice, and I'm a lot like Rapunzel. I'm a fan of a lot of things (and some of them I love more than Tangled, sadly) but for some reason, Tangled is just what people think of when they think of me. I've sort of become notorious for it. 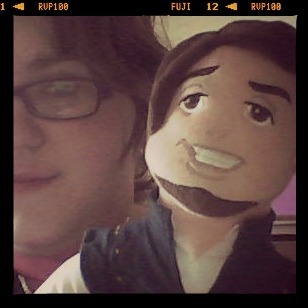 Which is why it's no surprise that Flynn Rider was one of my birthday gifts from a friend. Thank you again for the gift, Tess! You rock. Flynn, meet Blog World. Blog World, meet Flynn. but may I just say... Hi. I've finally found the Flynn to my Rapunzel. And so, armed with my frying pan and my stuffed Flynn, I'm going to take on the world. Care to join me? My inspiration is dead. Deader than a doornail. Even figuring out how to begin this post is like pulling teeth. The point is, I can't write. And whenever I do, it's extremely forced. And for me, this is almost a full-blown crisis. I can't write?! But I'm a writer! That's what writers do! So, I'm in a slump. If I'm being honest, I hate writing right now. I can't live without it, but right now I just can't do it. It's the weirdest paradox ever. 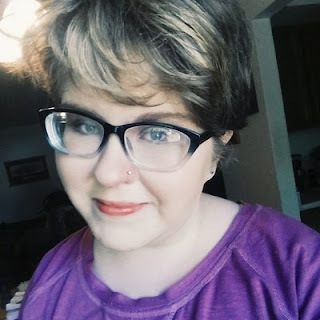 I even feel lame about complaining here, because I've been in this place so many times and in so many other blog posts. You guys get to hear all about it whenever I'm blocked in my writing. Today is no exception, and you have my utmost apologies for my complaints. I honestly think my lack of inspiration is due to a lack of faith in my abilities as a writer. I've been feeling the blues today when it comes to my writing, which is probably my fault since I was reading tons of writing blogs today. 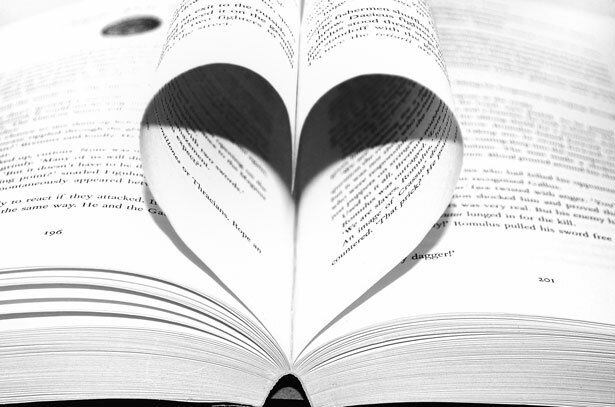 Whenever I read advice from other authors, it makes me realize how little I know about writing and how much I still have to learn (and fix). And then the doubts set in. Common doubts are, But everyone is better than me. I'll never get published. My novels have so many flaws. Are you in this place too? If you are, I desperately wish I had something earth-shattering I could say to you. I don't. But perhaps we could commiserate together? Come in, have a seat, sit down. Over there by a door is a stack of swords. Pick one up. Let's hunt some orc! I'm turning sixteen this month. And I'm resisting the change with everything in me. I don't like change. I don't like getting older. I don't like growing up. And yet at the same time, I do like it. I crave adventure. I long to drive, get my own car, and live life. I want to grow up. And yet I don't. It's confusing, I know. Perhaps you can relate? Peter Pan has been weighing heavily on my thoughts lately. So has Neverland. Second star to the right, and straight on till morning. It's not that hard to find Neverland. Is it? I posted a status on Facebook, asking my friends to direct me to the nearest Neverland. Thankfully they reassured me that growing up isn't all that bad. And maybe, I'm thinking, it isn't. Everyone resists growing up. Adults complain, wishing they were younger. But what would happen if I met growing up with open arms? What if I welcomed it? What if I saw it as an adventure just waiting to happen?A lot of things might change, wouldn't they? The least of which being my age. 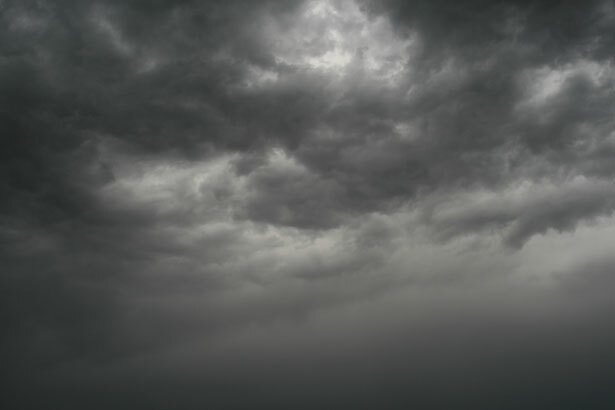 I kind of feel like growing up is my impending doom, comparable to the dark storm clouds that linger in the sky. But when I think about storms, an image comes to mind of a ship tossed by the waves. A brave sea-captain stands on the deck. Staring at the storm. Welcoming it. Wanting to take on the danger and the adventure and the rain... and everything that comes with it. I want to be like that sea-captain, as unrealistic and idyllic as he sounds. Adventure is out there, we've just gotta find it. Maybe growing bad isn't half bad. Maybe I've got it wrong. Maybe Neverland is found when you grow up. Maybe the adventure is in living life, and greeting it with arms wide open. In the meantime, though, I'll still be looking for Peter Pan. And on my sixteenth birthday, I'll probably be watching a handful of Disney movies. Just so you know.